Fou Gallery Exhibition A Piece of Paper Installation view. Fou Gallery is pleased to announce A Piece of Paper, a group exhibition of works on paper or inspired by paper, on view from March 19 to May 8, 2016. Traditional Chinese painting and calligraphy artists who work on handmade paper consider paper selection an indispensable part of their artistic creations. The pattern, texture and perviousness of the paper directly affect a work’s presentation, and they sometimes even become part of the image. Japanese woodblock print artists in the 17th and 18th century first adopted Kozo paper, and they kept refining paper making techniques to present more elaborate Ukiyo-e. Western painters not only use works on paper as reference sketches for much larger paintings, but also value them as independent works. Compared to large-scale oil paintings, works on paper are more intimate and accessible, reflecting artists’ personal thoughts in the studio. Contemporary artists utilize paper in more diverse ways, often combining and rearranging it as media, material or source of inspiration. 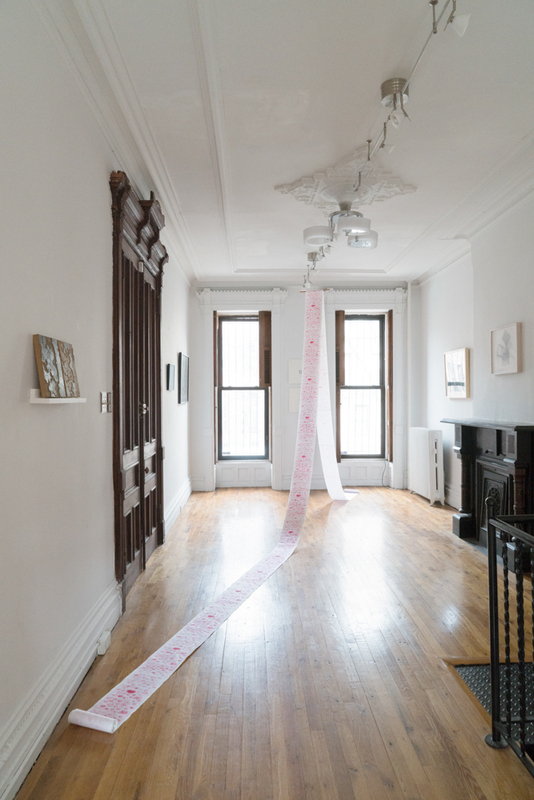 In this exhibition, works from eight artists with various cultural backgrounds reveal the endless possibilities within a piece of paper.